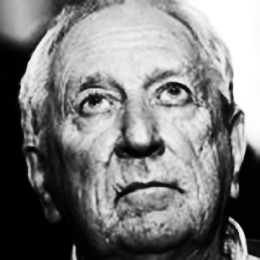 Last year the Nobel Prize in Literature was awarded to the Swedish poet Tomas Tranströmer. Meditation can help us find ourselves in his poems. Meditation can bring us closer to the themes that Tranströmer writes about: our inner movements and our encounters with what we always knew and what we never knew at all. Things won’t change, and situations won’t be undone. But our perspectives can change, and on this level we can influence our own lives, right amidst past experiences, relationships and contexts that bind us. 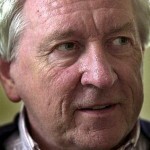 Tranströmer’s poetry has a meditative quality full of sensitivity to the inner forces of life. Tranströmer published his first collection of poetry, Seventeen Poems, in 1954, only 23 years old. His poetry was considered even then to have reached an impressive maturity. In addition to his work as a psychologist, he published a new poetry collection about every four years until 1990, when he suffered a stroke resulting in paralysis and aphasia. His poetry has been translated into more than 60 languages. One of his most admired poems, “Romanesque Arches” (For the Living and the Dead, 1989) dwells on the unknown room inside of us and our mission to continuously move towards it. This is an ongoing process, and we will never fully understand who we are. But if this fills us with anxiety and confusion, the anonymous angel will support us on our journey. “Don’t be ashamed to be a human being—be proud!” the angel whispers, and this line stroke a chord in the school children that Tranströmer met in connection with the Nobel Prize award ceremony. Consolation is important and is to be found within ourselves, even if it is often unknown to us. Like Tranströmer’s poetry, meditation also leads us into our inner cathedral, in which we move between innumerable arches. Sometimes we arrive at vaults in which we recognise ourselves, at other times we reach new and unknown vaults. We understand that in the end this is the way it should be. New rooms will reveal themselves one by one in an infinity in which we all take part. This can be frightening, but it can also bring a new opening, an opportunity for change. Meditation enables us to catch sight of what these rooms have to offer, and to enter into them and relate to them. We can come back to something familiar, but still discover new aspects, or we can meet with new situations and yet have a sense of recognition. Meditation helps us keep the doors open. It helps us be prepared, be better equipped for what life brings our way. Nice post and nice poem! I agree, in meditation, and as also in psychoanalysis, one may open vault after vault within oneself, sometimes physical, sometimes psychological, sometimes philosophical. The vaults are made of different material. Talking about one’s meditation is perhaps a bit like opening the windows to let some light fall on the vaults. It is very exciting when poetry meets psychology and doing that, capture the beauty of a human being’s search for wisdom. I agree totally with Kaif. 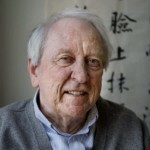 Viva Tranströmer!